We who have been saved know something of the greatness of that salvation, but we only learn its true greatness when we investigate its details. Therefore, we will study the various details in this book. Then we will more fully understand the whole. We can't grasp the whole divine plan of salvation from one word, just as we can't see all four sides of a building from one location. - Spiritual powerlessness, so we need the gift of the Holy Spirit. Lastly, we will look at new creation, the ultimate things to which the gospel leads us. New creation is suitable only to God. 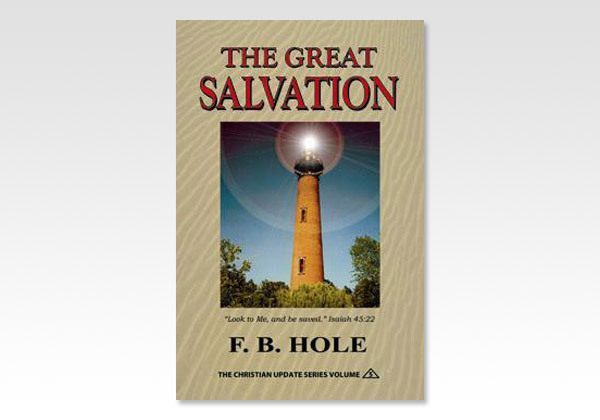 F. B. Hole, a cousin of Hamilton Smith (another well-known author to readers of Believers Bookshelf publications), was born in England in 1874. For many years before his call home to be with the Lord in 1964, he was a well-known, beloved and respected teacher among the English assemblies.